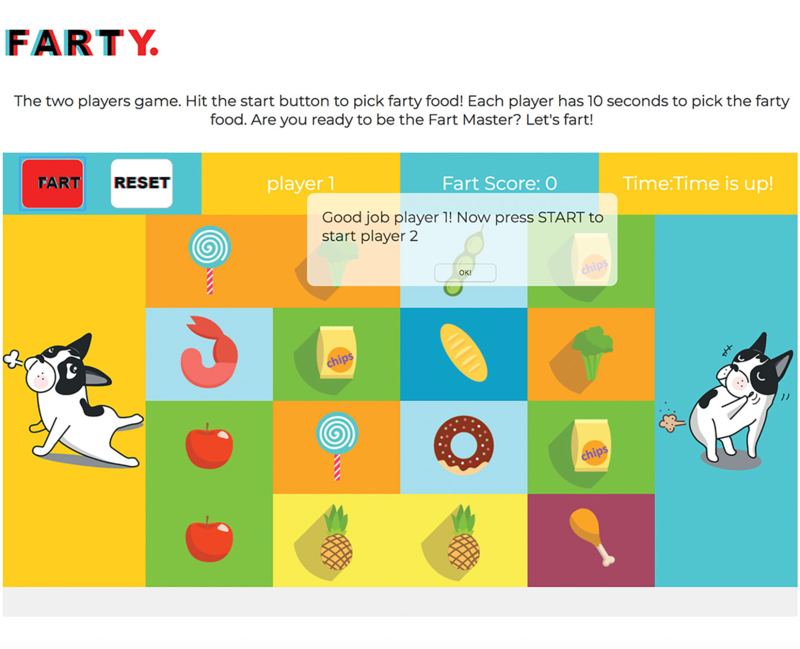 Farty Fart is the two player game to pick the most gassy food to earn the scores. Turn the sound on! Hit the start fart button to pick the farty food. Each player has 10 seconds to pick the food. Are you ready to be the Fart Master? Let's Fart!